Innovative Sensors, Inc.'s Model 10 pH sensor was designed to be used in water and wastewater applications, such as potable water supplies, cooling towers, fresh and salt water aquariums, water parks and secondary wastewater treatment. 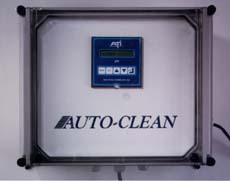 The sensor incorporates a reservoir of reference electrolyte and non-fouling porous teflon liquid junction. The body has ½ inch MNPT front and rear facing sensing element prevents accidental breakage. The standard version is rated to 80°C, while the high temperature version is rated for 110°C. Innovative Sensors, Inc., 4745 E. Bryson Street, Anaheim, CA, 92807. Tel: 714-779-8781; Fax: 714-779-9315.